Unique Keith Brymer Jones stylish medium bowl (500ml) with “porridge” hand-embossed using Keith’s iconic retro typewriter font for a stylish touch of vintage chic. Part of the Keith Brymer Jones Word Range. 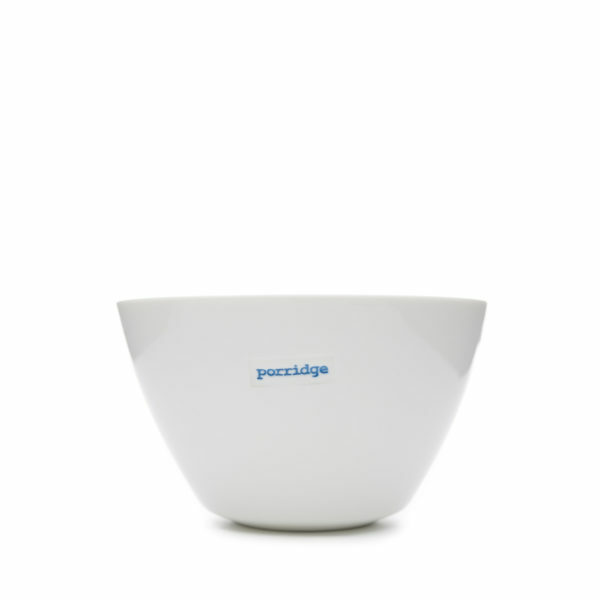 This ceramic porridge bowl is designed in Britain by Keith and crafted from the finest white porcelain. Part of the Word Range, each piece is hand-finished in a retro font.